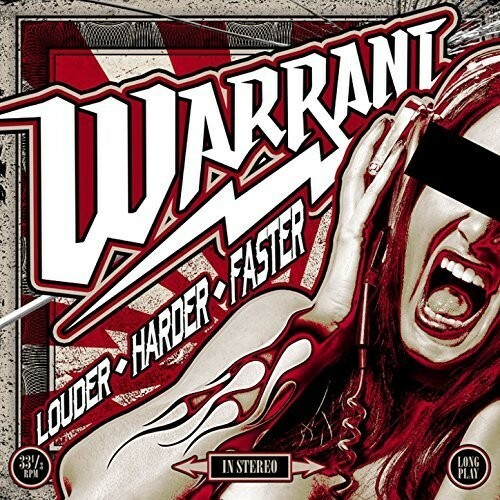 Like many fans of Melodic Hard Rock, Warrant are one of those bands that I can wax lyrical about and praise endlessly, so the release of 'Louder ♦ Harder ♦ Faster', the long-awaited follow-up to the awesome 'Rockaholic', was exciting news to me. I know many can't get past Jani Lane's death and the continuation of the band, but, as I always do, I let the music do the talking before instantly dismissing a group. 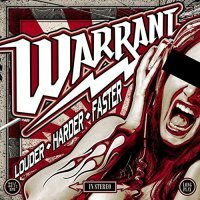 Also, Robert Mason is a fantastic singer, and although vocally very different to Lane, he has done a fine job for the band over recent years, so giving Warrant 2.0 the benefit of the doubt will always be my intention. 'Louder...' isn't the album I was hoping for though, whilst on the surface it seems a decent enough Hard Rock record, it also feels very throw away. The song-writing seems very superficial, perhaps rushed or just unloved, either ways it's as though they needed new material and came up with some pleasing bog-standard stuff to keep fans happy. I think initially Warrant fans will be satisfied with the rambunctious old-school Hard Rock drive of the album, the monster riffs and squealing solo's that hark back to the genre's and band's heyday. Personally though, the album never really captures my attention, it never gets under my skin compelling me to listen to the songs over and over. It just lacks those instant killer choruses and hooks that draw you into a song without you thinking about it. 'Louder...' is the sort of album that some people will say grows on you with repeated listens, for me it was the opposite. Repeated listens made it even more disappointing and the songs seemed most effective on their initial impact and play. Due to the fact that I have such high standards for a band of this calibre, I suppose it is just a case of this mediocre album not cutting the mustard with me. 'Louder ♦ Harder ♦ Faster' is an album I would definitely advise people to check out samples of beforehand, and although my opinion is negative, I also have to strongly point out the album is far from weak, it's just very average and therefore will likely please as many fans as those that feel the same as I. Check it out for sure, just don't expect classic Warrant!